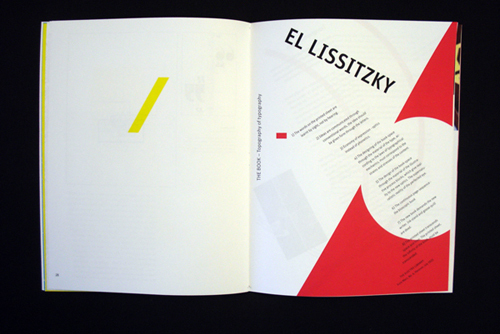 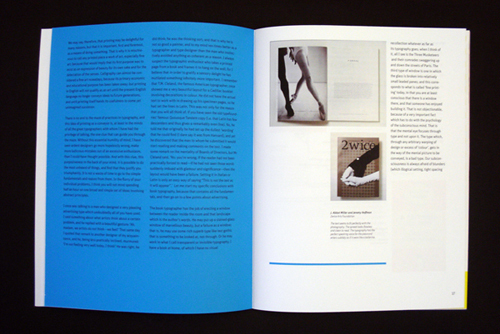 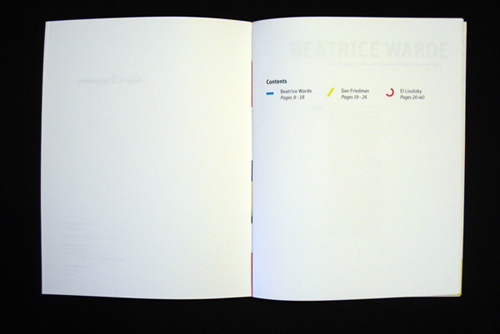 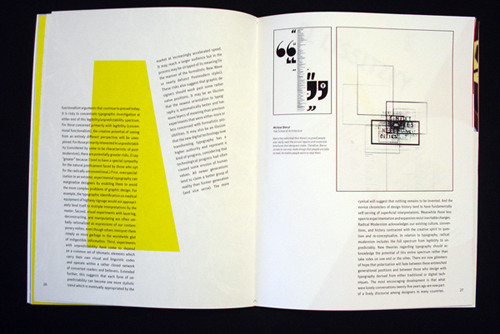 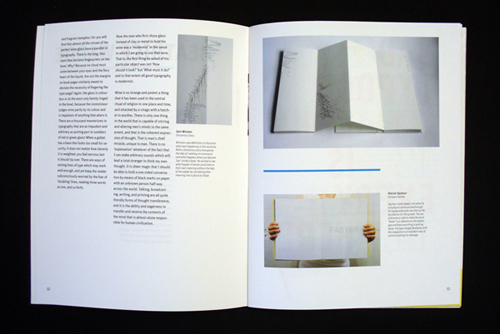 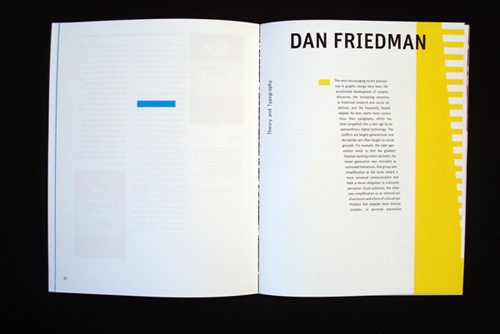 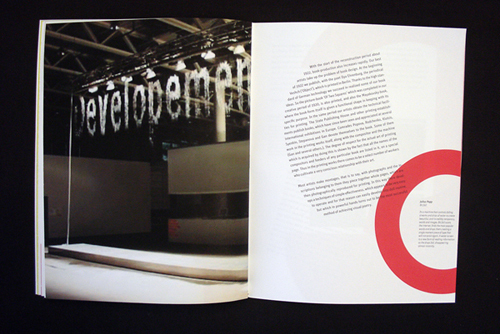 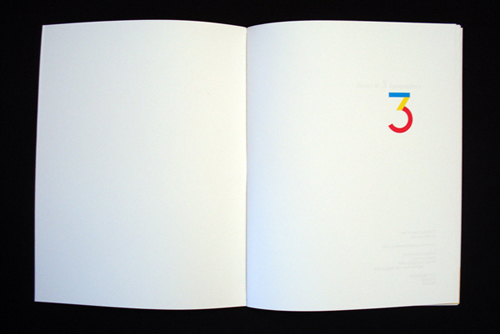 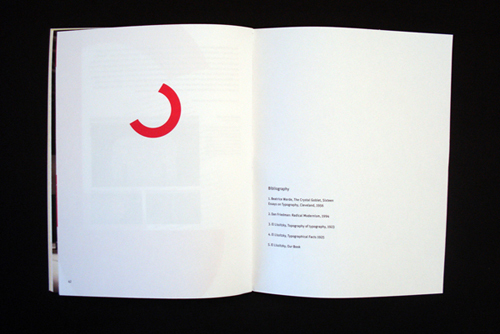 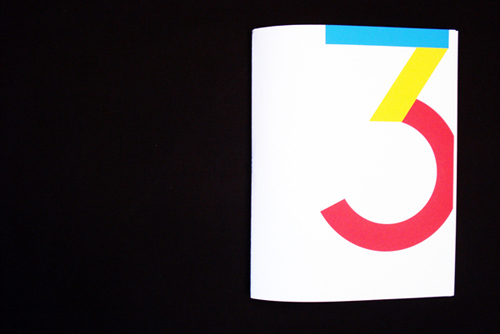 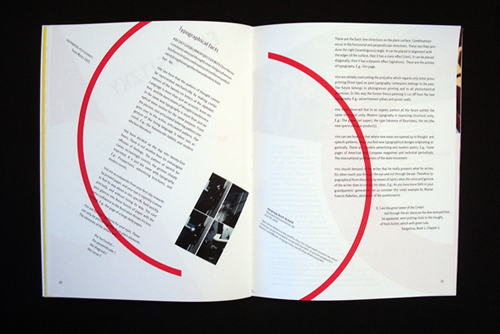 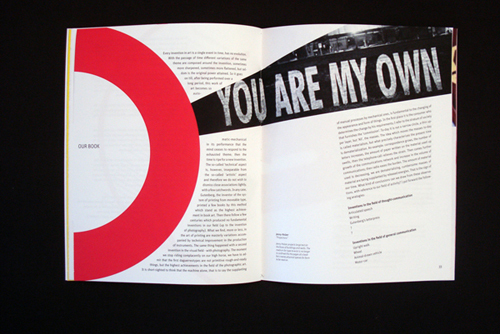 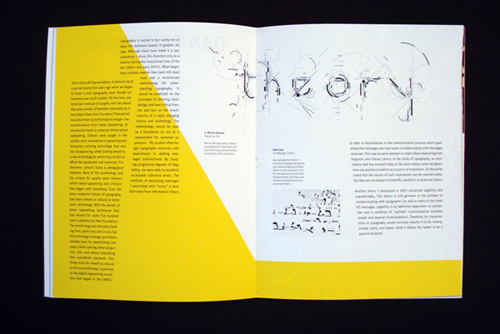 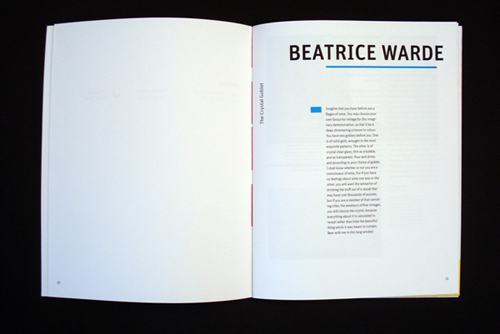 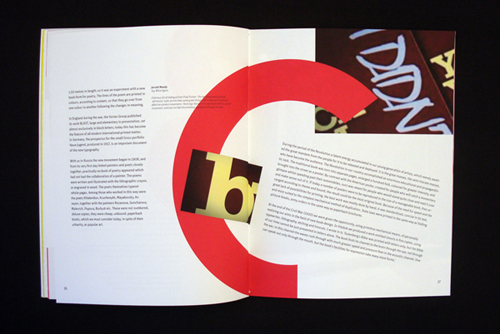 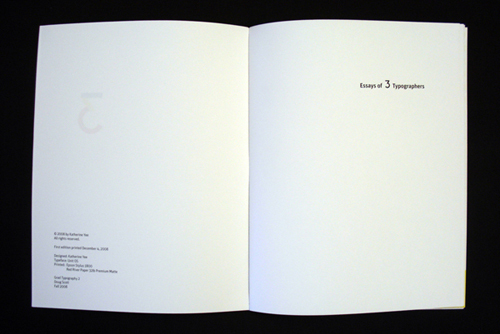 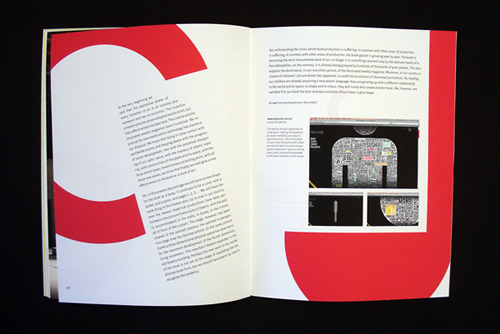 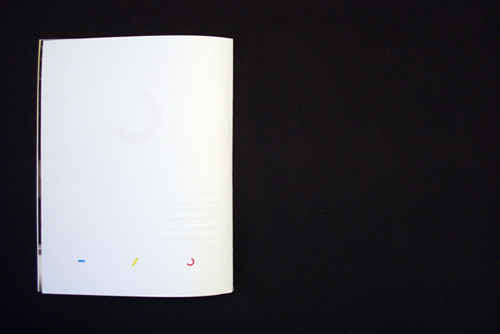 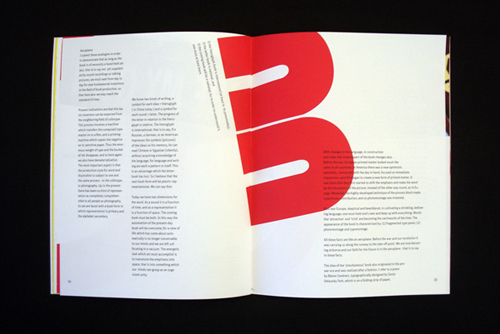 Designed a publication that contained the essays of three typographers; Beatrice Ward, Dan Freidman, and El Lissitzky. 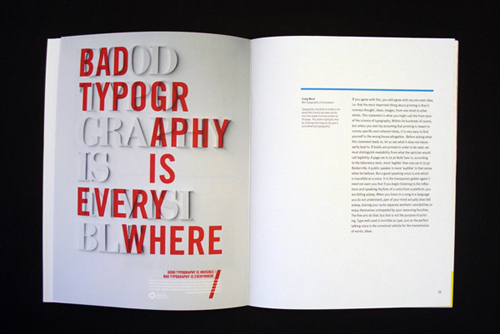 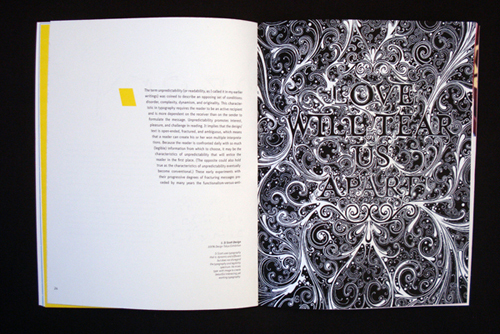 Looked for modern day examples of graphic design that reflected the ideas of those typographers. 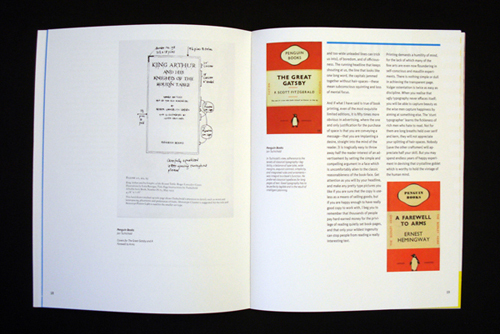 I chose to divide the essays into three distinct parts, each with a different system of organization.